I started a series last year (it feels weird to say that . . .) called "PSA" where I would explain common misconceptions about bullet journaling, calligraphy, or just stationery in general. 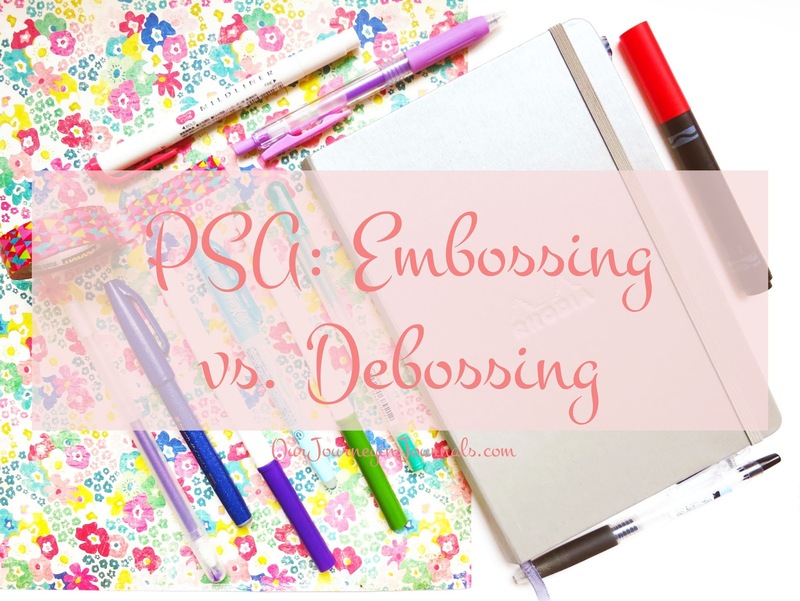 Today's installment is about the difference between embossing and debossing. These are both embellishing techniques and are related in a way, but they're the opposite of each other. 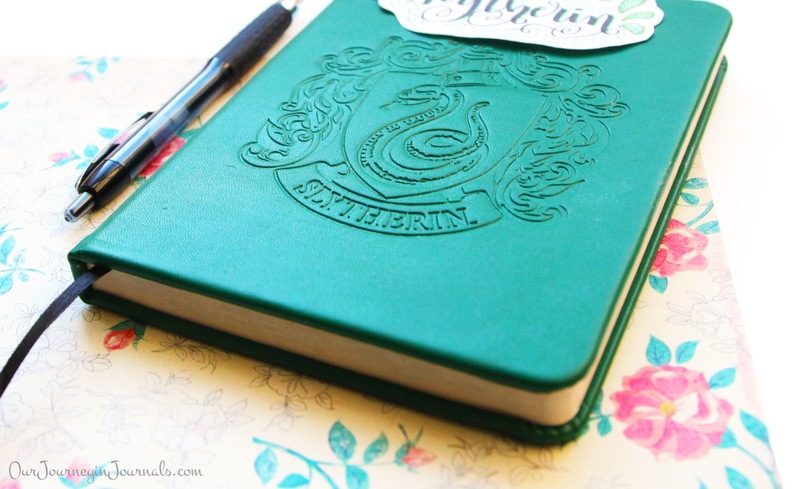 If you're into calligraphy or scrapbooking, then you've probably seen a lot of embossing. Embossing, in general terms, is when the art/words/graphic is raised above the background/negative space. More specifically, when you make embossed calligraphy by hand, you sprinkle embossing powder on top of marks made using an embossing pen, then use a heat gun to set the powder (refer to the above video). There are also embosser stamps you can buy that kind of work like hole punchers, except instead of punching out a hole, they press out the design onto the paper. I've also embossed paper for fun by rubbing in the design backwards on the back of the paper using a pencil so that the design is raised on the front of the paper. In my own experience, I think I've seen more embossing done by hand for artistic or customization purposes rather than already manufactured products. However, on some manufactured products, embossing is at times achieved by pressing down the negative space around the design to create the illusion of a raised graphic. Debossing, on the other hand, is when the art/words/graphic is pressed below the background/negative space. I think this is more common on manufactured products, and I've seen a lot of hardcover journals that have debossed designs on the cover. 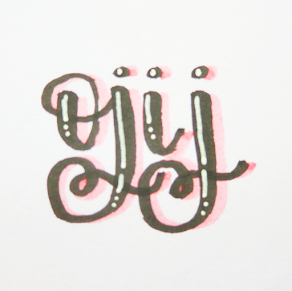 I've never actually heard of anyone debossing something themselves, but if you really want to deboss some paper, I would suggest getting a custom embosser stamp but using a backwards version of the design you want. I hope this little guide was helpful! Do you have any other stationery-related questions you want cleared up? If so, leave them down below!